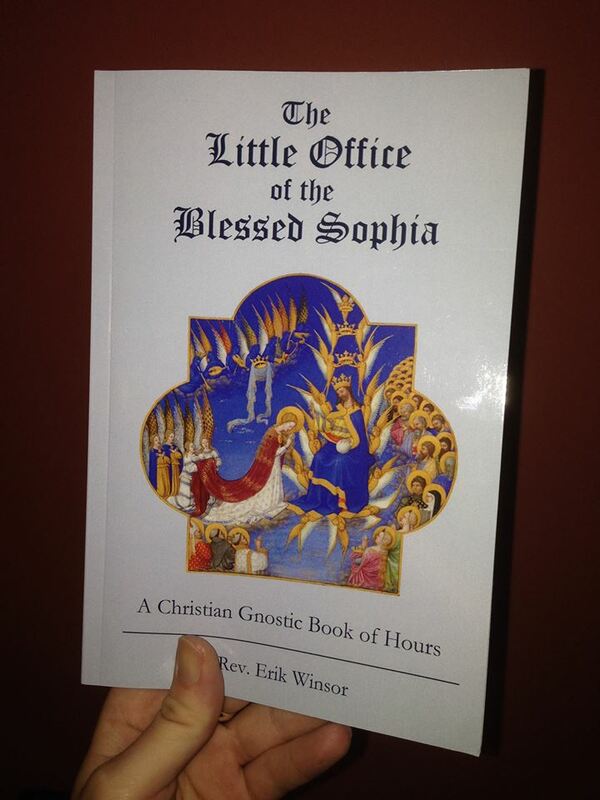 Modeled after the Little Office of the Blessed Virgin Mary but with Gnostics in mind, this book is designed to both honor the Most Holy Sophia, and to elevate our consciousness to the Divine Light through a daily cycle of prayer. It is my hope that this book will become an important part of your prayer life, enriching your devotional practice. The beginning of the Office of Vespers, prayed in the evening around sunset. A selection from the Commemorations, showing the prayer for Restoration Day, Cyprian of Antioch, Cosmas & Damian, Mary Undoer of Knots, and Archangel Michael. May the dove and serpent unite, and white lily with red rose we wed. Amen. Last Friday, we celebrated the Assumption of Sophia, the return of Sophia to the Pleroma out of the chaos into which She had fallen, when all the aeons of Light came together to rescue Her. In the exoteric Church, this same feast day celebrates the Assumption or Dormition of the Blessed Virgin Mary, based on the belief that Holy Mary was bodily assumed into Heaven by God at the end of her earthly life. On August 22, 1944, the octave day of the Assumption, Pope Pius XII instituted a feast day in honor of the Immaculate Heart of Mary – a popular devotion to the Blessed Virgin which in many ways is analogous to the Sacred Heart of Jesus. As Gnostics, this special octave day may be an opportunity to contemplate a similar mystery in relation to Sophia’s Assumption, focusing on what I like to call the Faithful Heart of Sophia. 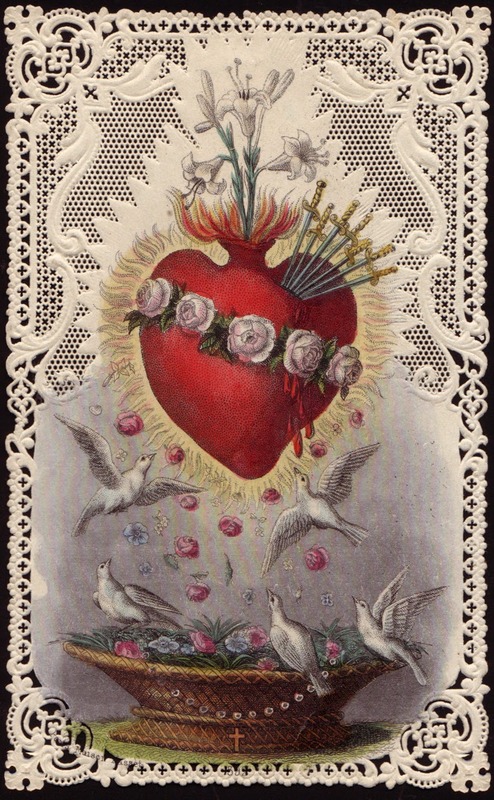 Now if you’ve followed my sporadically updated blog here at Gnostic Devotions, you may have noticed the Faithful Heart of Sophia mentioned already, particularly in a prayer from the Chaplet for the Dead: “Faithful Heart of Sophia, be my salvation.” As the Faithful Heart is more of an idea than an official devotion (yet! ), let’s consider the fall of Sophia into the outer chaos, and Her triumphant yet compassionate return to the Pleroma. In the Book, Pistis Sophia, Jesus tells His apostles of the fall of Sophia, and His own journey through the spheres to rescue Her from the rulers of the chaos: called, in Gnostic scripture, the archons. 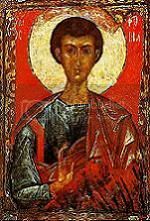 Sophia, whose name means “Wisdom”, is the youngest of the aeons – emmanations of God, not created by Him, but rather aspects of Himself poured forth, the whole of which make up the Pleroma (Fullness). In the story Jesus tells, Sophia longs to know God, Her Source, and be united with Him; and She sees a reflection of His light below. Thinking it was the Light Himself, She rushes toward it, and in so doing She finds that She has plunged into the chaos, outside of the Pleroma. She is unable to return to Her home, and in Her sorrow at Her predicament, an imperfect and monstrous emanation is brought forth from Her, called in various scriptures: Ialdabaoth, Saklas, Samael, the demiurge or half-creator. Ialdabaoth declares, “I am God, and there is no other god but me!” And he begins creating beings to serve him, the archons, and together they create and rule the physical universe and everything in it. When Sophia sees what Her error has resulted in, She cries out to the Light to save Her. In the Pistis Sophia (meaning, approximately, “Faithful Wisdom”), She utters a series of repentences, followed by odes of praise to the Light – and the Light hears Her, and takes pity on Her. As Fr. Sam+ mentioned in his homily on Sunday, She experienced more pain and sorrow in Her fall from the Pleroma than we can ever imagine or experience here on earth. Just try to imagine a divine being losing Her place in a realm of timeless perfection, and being trapped in matter by a monster who fancies himself to be God. But She never loses faith! Even in the midst of Her despair, She cries out in Her first repentance, “O Light of lights, in whom I have had faith from the beginning, hearken now then, O Light, unto my repentance. Save me, O Light…” Through Her songs of sorrow and praise, the Light hears Her, and sends a Savior in whom the entire Fullness of God dwells: the Christos. But even as She is rescued, She takes pity on creatures whom the demiurge Ialdabaoth had made, left stranded in the darkness. So She separates Herself, so that a part of Her can remain in the world, to assist and comfort Her children still trapped in the world that resulted from Her mistake. Last week we celebrated Sophia’s return to the Pleroma – mirroring our own eventual return. And in a few weeks we will, sadly, commemorate Her fall into the chaos, and by extension, our own fall into matter. But on tomorrow’s octave, in between Sophia’s Assumption and Descent, let’s particularly remember Her faith. Let’s keep our hearts faithful, as Hers is; remembering, of course, that “faith” is not a synonym for “belief”. Belief won’t save us, but trust and confidence is the foundation of the Path of Gnosis. As the Gospel of Philip says, “Faith is the earth, in which we take root.” Sophia’s story is our story, therefore may our hearts be ever enflamed with Pistis: faith in the Light, who is rescuing us out of the darkness of this world, and will restore us to our rightful home amongst the aeons. Antiphon. My heart hath rejoiced in the Lord, and my voice praiseth my God, because I have joyed in His salvation. ℣. Hidden beneath the surface of all appearances, alleluia, alleluia. ℟. She liveth as the eternal Heart of the Living Sun, alleluia, alleluia. Let us pray. O Father of the Light, in whom Pistis Sophia had faith from the beginning, singing praises unto Thee even from the depths of chaos: grant in Thy loving-kindness, that we who with devout minds recall Her Faithful Heart, may always live our lives with our hearts aflame by that same faith which She kept while in Her deepest sorrow. Through our Lord the Christ, Thy Son, who liveth and reigneth with Thee in the unity of the Holy Spirit, one God, for ever and ever. Amen. 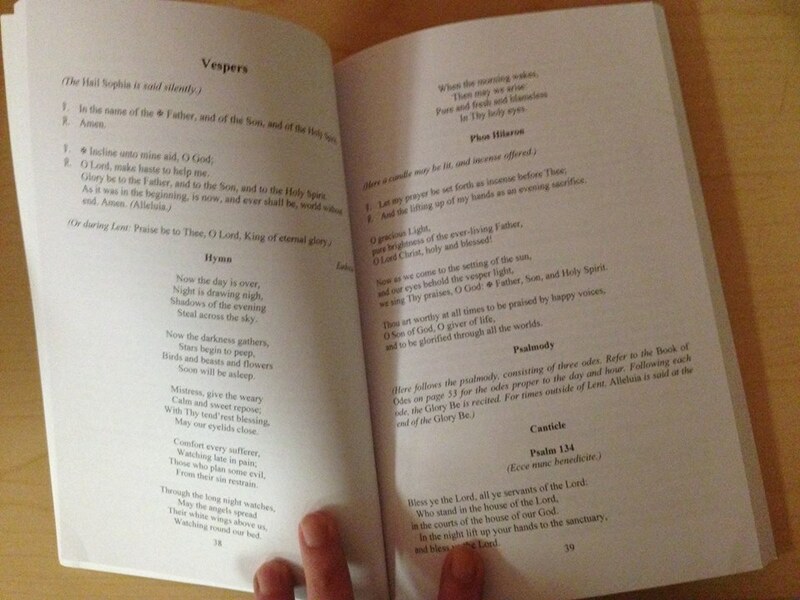 This is a Little Office of Compline, also compiled by Rev. Mother Marsha Emrick+, as an official prayer of the Order of St. Esclarmonde. For those who are unable to keep the 8 canonical hours of the day, Prime and Compline are most excellent practices: one to begin the day in praise of the Father and Mother, and the other to end the day, not only in praise, but also in examination of oneself. To be said prior to retiring for the evening. In the Name of the One + True Father, in Barbelo, the Mother of all, in the union of the Christosophia, peace be to all on whom this Name reposes. Amen. O Blessed One, Lady of the Stars, Who wraps the night around me as Her sweet smelling hair, remain with me as the moon ascendeth to the heavens. Amen. O Heavenly Paraclete, the comforter, Sprit of Truth, Who art in all places and endurest all things, Treasury of endless good, and Well of infinite compassion: Come and take up thine abode in me, and cleanse me of every obscuration; and liberate my soul, O Perfect One. Amen. O Holy God, Holy and Mighty, Holy Immortal One, shed Thy glory upon me. As it was in the beginning, is now, and ever shall be, unto the æons of æons. Amen. O God from Whom all desires for Gnosis, all good counsels, and all just works proceed; give unto Thy servant that peace and wisdom which the world cannot give; both that my heart may be set to be inclined to Thy divine inspiration, and also that by Thee, I being defended from fear of all evil may pass my days in serenity and peace; through Christ, our indwelling Lord. Amen. Our Father who art in the depths of the Æons, may Thy Holy Sophia and Christ be understood and adored in all the Universe; may the kingdom of Thy Holy Spirit come to us, may Thy will be done on earth as it is in heaven. Give us this day our spiritual food, the strength and courage to earn bread for our body. And forgive us our digressions from Thy Law, as our Assembly forgives the penitent. Support us in our weakness, so that we are not carried away by our passions, and deliver us from the deceptive mirages of the archons. For we have no other king than Thy beloved Son, the Christ our Savior, Whose is the kingdom and the triumph and the glory unto the æons of æons. Amen. Calling to remembrance our most holy, undefiled, most blessed and glorious Lady, the Mother of the Æons and ever-blessed Sophia, with all the Saints, I commend myself and my life unto Christ, my Lord. O Queen of Heaven, Celestial Bride, Holy Sophia, grant me Thy Wisdom that I might not stumble in darkness. Bless me that even in sleep I may walk in Thy ways, and remain in the Gnosis of who I am, of where I am from, and whither I am hastening, that the rest of my days may be the best of my days, and that I may experience the resurrection now, and in the life to come. Amen. Hear me, O Lord. Let my prayer be set forth in Thy sight as incense, and let the lifting up of my hands be an evening sacrifice. O gladsome radiance of the holy glory of the Father immortal, heavenly, holy, blessed Christ! In that we are now come unto the setting of the sun, and behold the light of even, we hymn Thee, Father, Son, and Holy Spirit: God. For it is meet that at all times Thou shouldst be magnified by voices propitious, O Son of God, Who bestoweth life. For which cause all the world doth glorify Thee. Thou hast redeemed me, O Lord, God of truth. Keep me, O Lord, as the apple of Thine eye. Shelter me under the shadow of Thy Wings. 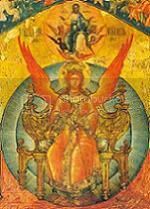 O Glorious Godhead of the Æons, Thou Who art surrounded by the radiant presence of the host of holy angels and messengers of light, hear my prayer, and listen to my supplications which rise from this world of shadows toward Thine abode of unending light. Night has spread its veil over me, everything invites me to meditate. I raise my thoughts to Thee, O Divine Propator, and I come into Thy presence. Blessed be my heavenly Father and Mother. I search my heart, so that I my go forth in spirit, and gather the sparks of Light from the sea of forgetfulness. Did I hide my religious thoughts when, on the contrary, I should have expressed them clearly? Have I mixed the name of God with words of impatience, anger, lying, or thoughtlessness? Have I at all times had a firm will, and have I always subjected it to the light of reason? Have I always preserved my honor? Have I always been moderate in prosperity, and patient in adversity? Have I been proud, vain, or haughty? Have I always treated my neighbor as a brother, and with love? Have I acted out of hatred or vengeance? Have I abstained from gossip, from slander, and from rash judgments? Have I put right the wrong caused to my fellow beings? Have I always kept my word when it was given? Finally, have I filled my day well? These, O my Father, are my faults; I admit them before Thee, and even though Thou seest into the depths of my heart, I confess them to Thee nevertheless, and I admit them before heaven and earth. 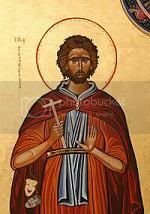 In thought, word and deed, O God, my Father, I have wandered from the path that leads to liberation. O my God and my Father, I have missed the mark Thou has set for me; break the hardness of my heart, and by Thine infinite strength and goodness make it receptive to the Truth of Thy Gnosis, and in Thy loving-kindness forgive me, O my God, for all the wrong that I have done and caused to be done; forgive me for all the good I have not done, and which I should have done, or that I have done badly; forgive me for all my wrongdoings which I know, and also for those which I do not know, from all my lifetimes, even until today, that I may be worthy to call myself Thy child, and may partake in the inheritance of the Kingdom of the Light. Amen. Lord, O divine Propator, who art the Father of the Lights, and the Protector of all those who trust in Thee, deign to take me in Thy holy protection during this night and keep me from all earthly dangers, and spiritual perils. During the sleep of my body make my soul watch in Thee. Subdue in me all wrong desires; make my conscience enjoy a holy tranquility; take far from me all evil thoughts, and all the dangerous illusions of the Archons. Grant Thy powerful protection to all whom I love; my parents, my friends, and to all those who make up the household of the Gnosis, and to all human spirits still wandering in this place of exile, whether they be in the body or out of the body. I will bless the Lord who giveth me counsel; even in the night my heart doth exhort me. It is vain to rise up early, to put off rest, for God giveth to his beloved in sleep. Day poureth out the word today, and night unto night imparteth Gnosis. Day-by-Day the Lord bestoweth his grace, and in the night his song shall be with me, and my prayer unto the God of my life. I call to remembrance my song in the night: I commune with mine own heart: and my spirit searcheth me diligently. I consider the days of old, the years long past. For a thousand years in Thy sight, O Lord are but as yesterday when it is past, and as a watch in the night. Give light to mine eyes, O Lord, that I may not sleep in death. If I say, Surely the darkness shall cover me; even the night shall be my light. Yea, the darkness hideth not from Thee, but to Thee the darkness and the light are both alike; the night shineth as the day. The Lord who keepeth me will not sleep. Behold, He will neither slumber nor sleep. The Lord is my keeper; the Lord is my shade upon my right hand. The sun shall not smite me by day, nor the moon by night. I shall not fear. I shall not fear the terror of the night nor the arrow that flieth by day. The Lord shall preserve me from all evil; He shall preserve my soul. As soon as I lie down, I fall peacefully asleep, for Thou alone, O Lord, keep watch upon my dwelling. The Lord shall preserve my going out, and my coming in from this time forth, and forevermore. Praise be to Thee, O Lord. Lord, O Divine Propator, Who art the Father of the lights, and the Mother of compassion, the protector of all who trust in Thee: deign to take me in Thy holy protection during this night, and keep me from all danger, and from every peril. During the sleep of my body, make my soul watch in Thee. Subdue in me all wrong desires; make my conscience enjoy a holy tranquility; take far from me evil thoughts, and all the dangerous illusions of the Archon. Grant Thy powerful protection to my relations, to my friends, and to all those who make up the family of Gnostics, and generally to all people. Father, as I fall asleep, I place my confidence in Thee and in the double and shining star of the Pleroma. Amen. Let the Light of the Divine Soul illumine all beings and myself. That all may be guarded from distress and want; that all our days be perfect, holy and peaceful: That what is good and profitable for our souls, and for the peace of the whole world may be granted us: That the rest of our lives may be spent in the Gnosis of Truth. So let the Light of the Divine Soul illumine all beings. Hail Sophia filled with light, the Christ is with Thee. Blessed art Thou amongst the Æons, and blessed is the liberator of Thy light, Jesus. Holy Sophia, Mother of all gods, pray for us Thy children, now, and at the hour of our death. Amen. This Officium Parvum (Little Office) is the official Office of Prime, or Morning Prayer, of the Order of St. Esclarmonde. 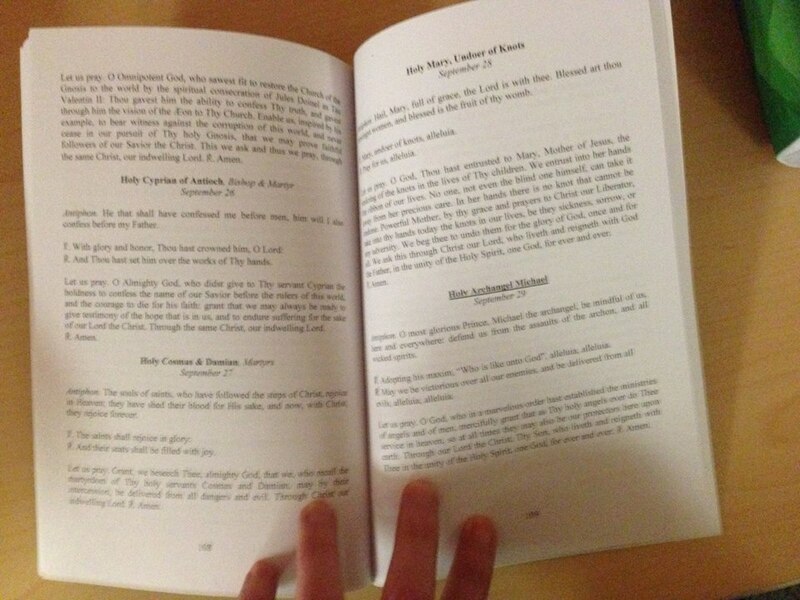 It was compiled by Rev. Mother Marsha Emrick+, and slightly edited by Bro. 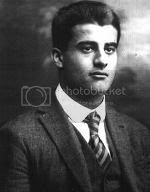 Pier-Giorgio. It is designed for solitary use, as the Order is primarily made up of hermits and solitaries. It can, however, be adapted for use in a group setting. 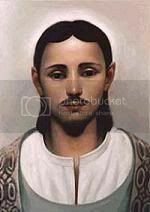 The version of the Lord’s Prayer given here is taken from the usage of l’Eglise Gnostique, the French Gnostic tradition. To be said at the first hour of the day. In the Name of the One +True Father, in Barbelo, the Mother of all, in the union of the Christosophia, peace be to all on whom this Name reposes. Amen. 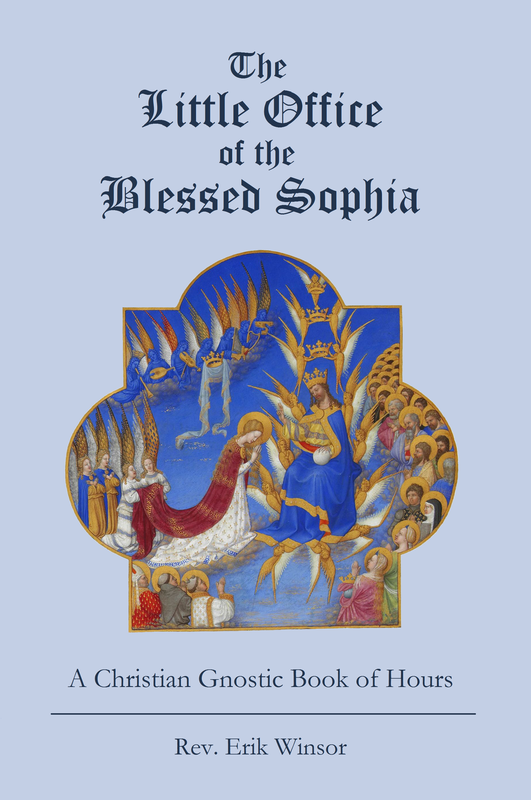 O Blessed One, Lady of the Light, Sophia Who mightily and sweetly doth order all things. Direct the steps of my path this day. Amen. Almighty God, the protector of all who trust in Thee, send forth Thy power to keep me this day both outwardly in my body, and inwardly in my soul; that so far as is expedient for me, I may be defended from all adversity now, and throughout all my lives. Amen. Our Father who art in the depths of the Æons, may Thy Holy Sophia and Christ be understood and adored in all the Universe; may the kingdom of Thy Holy Spirit come to us, may Thy will be done on earth as it is in heaven. Give us this day our spiritual food, the strength and courage to earn bread for our body. And forgive us our digressions from Thy Law, as our Assembly forgives the penitent. 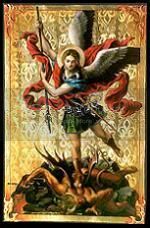 Support us in our weakness, so that we are not carried away by our passions and deliver us from the deceptive mirages of the archons. For we have no other king than Thy beloved Son, the Christ our Savior, whose is the kingdom and the triumph and the glory unto the æons of æons. Amen. O Lord, open Thou my lips and my mouth shall sing forth Thy praise. I shall rejoice and be glad this day, for this is the day the Lord hath made. I will pray to God, who hath sent the Holy Spirit to be a light shinning in my heart. –Lord be my guiding light this day. Blessed are you, O Unknown Father, Father of the Light, for by Thy glory hast Thou brought me unto this new day, even as Thou hast sent the Christos to be a Light for the whole world. 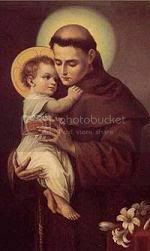 O most Glorious Logos, help me to bring forth in myself that which is within me this very day, that I may truly live. Grant unto me clear vision, that I may see Thy Kingdom spread out abroad upon the earth this, and every day. Amen. The reading is taken from (name of the book). But Thou, O Lord, shed Thy glory upon us. Thanks be to God. And to love what Thou lovest. Now, O Lord, shed Thy glory upon me. And grant me Thy redeeming power. For it is in Thy hands that I place myself. I give thanks to Thee from the morning. I thank Thee for having protected me during the night from all dangers and evils which could have harmed me, and from which Thou hast covered me with Thy protection. During this day remain my support, my strength, my refuge, my salvation, and my consolation. Amen. O Savior, guide me to Liberation. O Blessed One, visit and heal my infirmities, for Thy Name’s sake. My voice shalt Thou hear in the morning, O Lord, with my morning prayer I wait upon Thee. Fill me at daybreak with Thy kindness, that I may rejoice and be glad all my days. From the rising of the sun, even to its setting, from the height of heights, the perfection of beauty, Thou shinest forth. 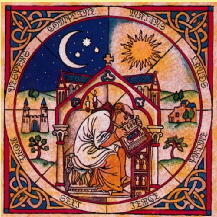 Thine is the day, and thine also the night, Thou hast fashioned the moon and the sun. Thou dawnest through the darkness, a light for the upright, Thou art gracious, and righteous, and full of compassion. At dawn, let me hear of Thy loving-kindness; for in Thee do I trust. Show me the way wherein I should walk, for I lift up my soul unto Thee. If I take the wings of dawn, if I settle at the farthest limits of the sea; even there shall Thy hand guide me, and Thy right hand shall hold me. From the rising of the sun unto its setting, the Name of the Lord be praised. Praise be to Thee, O Lord. O Father, I thank Thee for all the good things that I have received by Thy grace. It is also by an effect of Thy goodness that I see this day; I want to use it to serve Thee. I devote to Thee all my thoughts, words, deeds, and sorrows. Bless them, O God, so that there will be none which are not activated by Thy love, and which do not tend to glorify Thee. In the Name of the +Father, and of the Mother, and of the Holy Child. Amen.